for 7 - 10 grade online test with direct evaluation. include one question from every 18 major fields of study of geography. A small 18 steps interactive test for desktop computers, laptops and tablets, which may be solved online and recieve a school mark. The test is part of the Interactive World Maps educational tools and include integrated evaluation system. It is cumulative with the Geography Tree Game . How to play Geography Tree Test. The questions uppear under the current round icon. Read them carefully and select one of three answers in white letters. Only one answer per question can be correct. Solving the test with good mark rewards +1 Knowledge Level on Planeta 42 world. Test subject: What is the study of geography. Here are all the questions in the general geography test, with their possible answers. Solve the test online to see which answers are correct and recieve a school mark and new knowledge level. 1. Physical Geography - How many continents are there? 2. Biogeography - Which continent is native to the penguins? 3. Geodesy - Which device is used in Geodesy? 4. Hydrology - What is the water coverage of the Earth's surface? 6. Pedology - Which is not a soil type. 7. Geomorphology - Which is not a Geomorphically relevant process? 8. Human Geography - Which is biggest in size. 9. Cultural geography - Which of the following countries have the smallest number of people? 10. Economic geography - Which country have the most GDP. 11. Historical geography - Where did first human appear? 12. Demography - Which country has the most population? 13. Geopolitics - Which is the best form of government? 14. Tourism geography - Which is not a tourist attraction? 15. Regional Geography - What were the Mongolian unique warriors? 16. Geomatics - which is not a GPS coordinate? - N40° 44.9064', W073° 59.0735'. - 456 NN219, 795 SS008. 17. Geology - The era that covers the longest span of time is? 18. Cartography - Which is the last supercontinent? 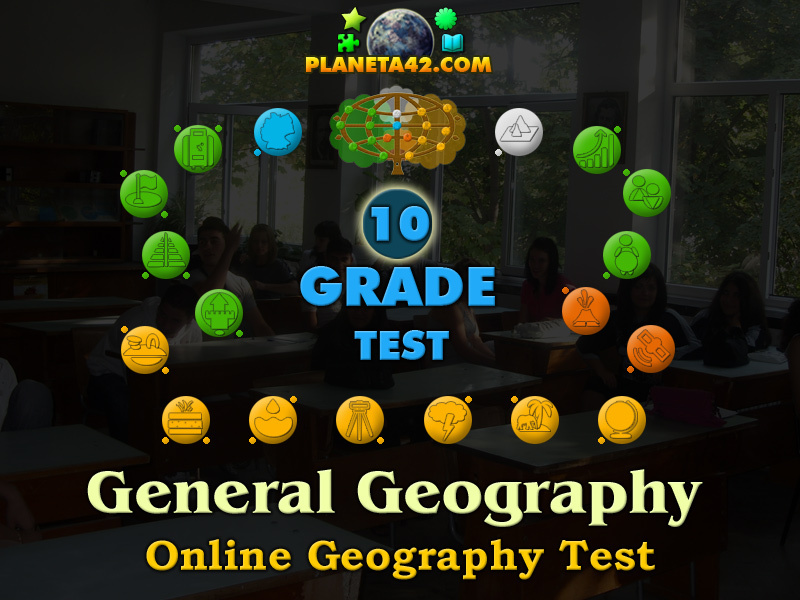 Labels: Online Tests , Geography Tests , Flash Games , Geography Games , Education Games , Free Online Games.